Protect a World Heritage Site from Destruction by Greedy Tourist Operators! Cataract Island is a pristine untouched land on the Zambezi River directly opposite the Victoria Falls, which is one of the seven wonders of the natural world. Now, a local tourism company has submitted an application for the commercial utilization of the island. We must stand together and say "no!" Cataract Island is the only area within the immediate vicinity of the Victoria Falls that is inaccessible to tourists. This protection from disturbance has meant that it has become a valuable refuge for wildlife and the fragile plants of the rainforest, nourished by the ever-falling spray from the Falls. This is the last, tiny isolated fragment of the Victoria Falls rainforest that has been left undisturbed and is currently untouched by commercialisation. Even highly managed and strictly limited tourism to the island will disturb this fragile ecology. Residents of Victoria Falls are calling for an urgent moratorium on any development in the sensitive areas of this World Heritage Site. Please help us by signing our petition! The core area of the Victoria Falls was designated a World Heritage Site by the United Nations Educational, Scientific and Cultural Organization (UNESCO) in 1989. 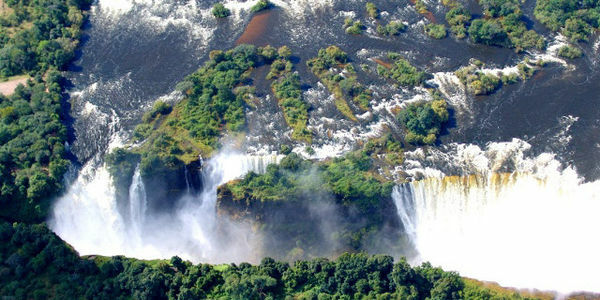 The listing described the Falls as "a superlative natural phenomenon with exceptional natural beauty and aesthetic importance," with the governments of Zambia and Zimbabwe pledging to keep the natural environment "intact for future generations." Thanks to you good people who signed the petition to save Cataract Island, the Director of the UNESCO World Heritage Centre, Dr Mechtild Rossler is now following up the case with the help of their Africa Unit. This is done through the UNESCO reactive monitoring procedure. I promise to keep you posted. Once again, thank you so much for your support!